You can almost hear the "Jaws" music while looking at the photo, CNN reports. 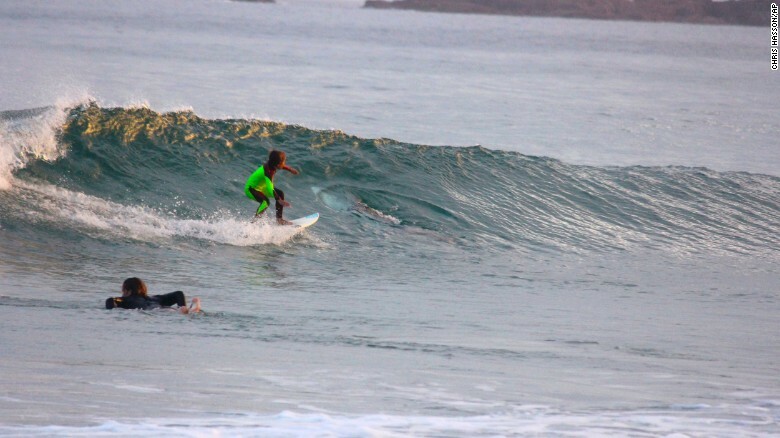 Chris Hasson's 10-year-old son Eden was surfing Tuesday when a shark appeared lurking beneath the wave, a moment Hasson caught on camera. "It was a chance encounter, a one in a million photo," Hasson said.